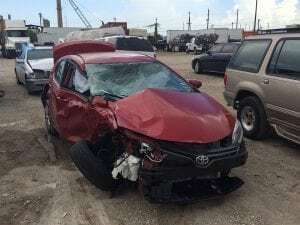 Alma, NY (March 17, 2019) – Every day, motor vehicle accidents take place in many areas of New York. One of the most popular spots for serious accidents are intersections, where vehicles collide with one another for many reasons. On Thursday around 4:03 p.m., police responded to a motor vehicle accident that took place at a local intersection and caused injuries to one party. The accident, according to police, took place at the intersection of Alma Hill and Whites Roads. Police arrived at the scene and paramedics had to treat one person. Though her name was not released, the party was identified as an 18-year-old female from Wellsville. Police have not commented on the extent of the female’s injuries. First and foremost, we would like to extend our sympathies to the injured victim of this accident. We maintain hope that she will receive a full recovery during this challenging time. Following a New York motor vehicle accident, we want you to understand that you have many significant rights as you move forward and that you are not at fault for your injuries. Our accident attorneys at Hach & Rose are fully devoted to helping the victims of these serious accidents, especially when you believe that a driver’s recklessness caused your accident. Nobody should have to suffer at the hands of another party. Let us help you through this difficult time and reach out to us today at 212-779-0057.